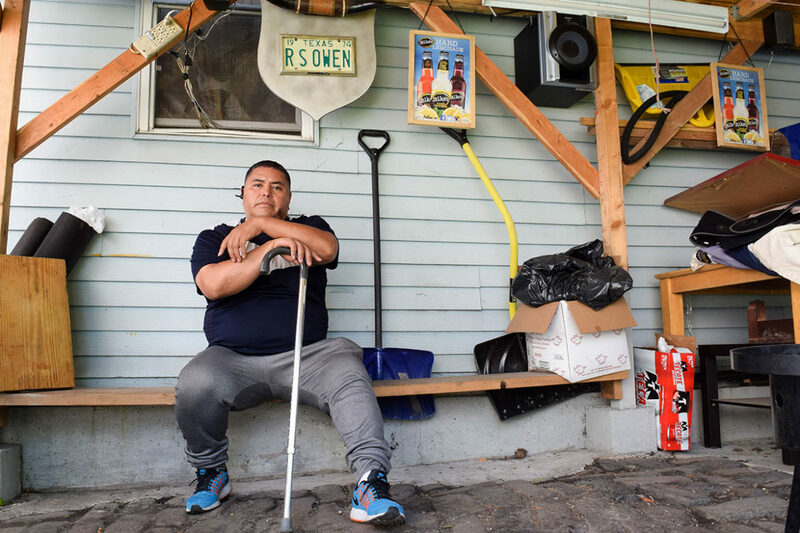 Juan Lopez can barely walk after being injured on the job at a manufacturing company a year ago. He is still hoping to recoup $1,000 in withheld pay after his wage theft case was dismissed by the Illinois Department of Labor. Most victims of wage theft in Illinois never see a dime because the system meant to help them isn’t working. That’s not what labor advocates envisioned in 2010, when the state passed a bill meant to give employees a better chance of recouping stolen wages and to toughen penalties against the employers who stiff them. The situation, however, has gone from bad to worse for the thousands of mostly low-wage workers who have filed roughly $50 million in wage claims with the state since the measure took full effect in 2014. Workers who report wage theft now face longer wait times, higher dismissal rates and more red tape, according to a Chicago Reporter review of complaint records and enforcement procedures at the Illinois Department of Labor. Fewer than 1 in 4 workers recouped wages within a year, the analysis found. The odds are so bad, many labor advocates say workers shouldn’t bother filing a claim. “The worst that can happen to [employers] is that they can use the workers like a credit card, and pay them months after the claims were first filed,” said Jacob Lesniewski, an associate professor of social work at Dominican University, who has studied wage theft. 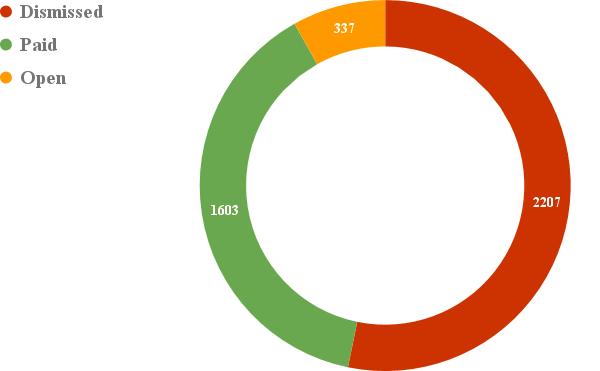 More claims are dismissed: 58 percent in 2014, up from 41 percent in 2010. The state doesn’t track why cases are dismissed, but most are scrapped early, before workers get a chance to have the merits of the cases weighed. Cases now take an average of nearly nine months to resolve, about two months longer than in 2010. If a case ends up going to a hearing, resolving it could take well over a year. Even when workers win their cases, they might not be paid. Only about 1 in 10 of nearly 500 cases forwarded to the Illinois Attorney General’s Office for collection resulted in payment, and collection can take years. The state has let dozens of deadbeat employers off the hook by allowing them to settle claims early in the enforcement process, avoiding formal violations or financial penalties. Because of the ineffective enforcement, workers and labor advocates say they’ve lost confidence in the department. Perhaps as a result, wage claims have declined 40 percent since 2010. Most wage complaints filed with the Illinois Department of Labor in 2014 ended up dismissed, according to a Reporter analysis. One of the most celebrated aspects of the reforms elevated repeat offenses to felonies, a change that advocates hoped would be a deterrent. But the labor department does not refer cases for criminal prosecution. Nor does it systematically track repeat offenders. One result: Without such tracking, Chicago has never been able to enforce its ordinance that allows the city to revoke the business licenses of repeat offenders. Department of Labor officials say their priority is to get wages back into workers’ pockets, not to punish businesses. But without effective state enforcement, low-wage workers have few options. In Chicago, the highest concentration of wage complaints comes from workers living in low-income black, Latino and immigrant communities, according to the Reporter’s analysis. Complainants often work for smaller companies in the health care, transportation, construction, landscaping, manufacturing and service industries. These 10 Chicago Zip codes have the highest rates of wage complaints, are all overwhelmingly non-white, and have higher poverty rates than the city average of 22 percent. Juan Lopez’s story is typical. Last August, the 42-year-old Mexican immigrant planned to take his two-week paid vacation from the suburban Itasca-based manufacturing company where he worked, building beverage displays. He had his bags packed and train ticket to Los Angeles purchased for a visit to his brother, whom he hadn’t seen in more than two decades. But on his last day before vacation, a 145-pound oak whiskey barrel he was building rolled off a display mount and crushed his body. There would be no vacation. Lopez, who used to take pride in his physical prowess and jog every night after work in Pilsen, can no longer work and can barely walk; injuries to his lower back, hips and knees shoot pain up his body with every step. The company denied his workers’ compensation claim, but an attorney is helping him fight the rejection. When he went to pick up his last paycheck, Lopez asked his former boss about his vacation pay, a little over $1,000. His employer told him he wouldn’t get paid. Lopez was dejected but unsure of his rights. He didn’t know that the Illinois Wage Payment and Collection Act protects a worker’s right to be paid for earned vacation time. But Lopez, depressed because he was plowing through his savings, knew “a thousand dollars would help me pay the bills for a long time.” He turned to Chicago Community & Worker’s Rights, a workers center. Executive Director Martin Unzueta knew Lopez’s case was too small for a private attorney. So he contacted Lopez’s former employer and asked the company to pay up. “We go to the Department of Labor as a last resort,” said Unzueta. Direct negotiations got nowhere. So Unzueta helped Lopez prepare a wage claim in January, though warning him not to get his hopes up about getting his money quickly. Within weeks, a labor department employee called Lopez to ask him to fill out another wage claim form. Lopez speaks and writes limited English, and said he was told language help was available at the department’s downtown Chicago office and that he would hear back on a date to come in. Lopez said he never heard back, but got a letter telling him his case would be closed if he didn’t provide more evidence within 10 days. In March, the department dismissed his case, records from Lopez’s case show. (After Unzueta’s group contacted the labor department, Lopez was able to refile his paperwork to open a new case, which is now pending).The Reporter’s analysis shows that workers who say they need a translator are far more likely to have their cases dismissed. Like Lopez’s case, most claims to the labor department are dismissed early on. Department officials estimate that nearly half of dismissals occur because of incomplete claim forms. Stricter notification requirements as well as recent labor department policies have made dismissals more likely, especially for low-wage and immigrant workers. For example, the department will dismiss a case when it can’t locate a worker – and low-income and immigrant workers tend to be more transient and are more likely to change phone numbers. Also, workers, instead of the labor department, are now required to send copies of their evidence to their employer – creating an added expense. Labor advocates and former labor department officials say lack of manpower is part of the problem, as wage claim specialists handle hundreds of cases per year. The ongoing state budget impasse has made it impossible to hire more staff. Department officials acknowledge that cases take far too long to resolve, and they have begun to make changes. More administrative law judges have been trained, and department officials said that move doubled the number of cases that went to hearings late last year. Advocates have proposed other changes, including more aggressive collections against deadbeat employers, who take advantage of the lengthy process by dissolving their assets or declaring bankruptcy to avoid payment. Workers then may find it nearly impossible to recoup their wages, and employers who stiff workers get a message that the state won’t go after them. The labor department opposes the bill and estimates that the law would cost about $1 million annually, mostly in salaries for new staff with expertise in lien procedures. Another bill, introduced this spring by State Sen. Daniel Biss, an Evanston Democrat who’s running for governor, would increase fines for employers that refuse to pay judgments for wage theft and would ban repeat offenders from getting state contracts. The bill has passed the state legislature and now heads to the governor’s desk. A recent study suggests that higher financial penalties do reduce wage theft. Daniel Galvin, an associate professor of political science at Northwestern University, analyzed self-reported income data from the Current Population Survey and found the states with stiff financial penalties for wage theft – particularly triple damages – have fewer minimum-wage violations. “Each state’s embrace of treble damages signaled to employers that intentional wage violations would be extremely costly, especially in cases involving multiple plaintiffs,” Galvin noted in his paper, published last year in the academic journal Perspectives on Politics. Unlike Illinois, a handful of states, including California, New York and Massachusetts, are more aggressive in criminal prosecution. The strategy has drawn more attention in recent years, particularly after high-profile cases brought by New York Attorney General Eric Schneiderman against home health agencies, car wash bosses and a pizza franchise owner. Illinois could follow New York’s example because the 2010 amendments elevated criminal penalties for repeat or willful offenders from a misdemeanor to a felony. But it doesn’t. Advocates point out that it will take a variety of strategies to make a dent in the problem. Improving the complaint-based system, which the labor department relies on, would not be enough, given the scale of need and the persistent lack of resources. Well in my movement here in one of my home towns I have notice how corrupt some of the the things have become but I have also notice how the take overs in some zones have no laws matter of fact what law! In some zones many area’s exspecailly in the so called low income area’s” Murder is allowed and what comes along with it forgive if I write what’s on my mine and the problem is you can be killed speaking the truth” Allow me to explain when I was another part of the world there was a very powerful group which warned me about speaking the truth! They had so much power they controlled most of the 5 star and 6 star orgainzation ran by a higher group that also control most of the” Sunday meetings each and every Sunday and I most tell you that many of these so called ministers,precher’s, deacons, pastors,in which many I have asked for help to stop the madness of the thinning out of our bloodline” NO-ne of them would answer my call nor speak on the topic when confront I suspect if they did their way of living would be altered. I have worked with numerous workers in the construction industry who have been victims of wage theft and have never found any State Departments of Labor or the Federal Department of Labor helpful to workers. In all cases the government agencies charged with addressing the issue have sided with employers, acted in a incompetent mater, used there office to protect criminal contractors from private legal action, etc. The only course for workers that is even remotely effective is private litigation and keep governmental bureaucrats out of the picture completely. The public agencies without fail routinely state they lack resources but my experience is no mater how many people they would have that they would be ineffective. This is not a Democrat or Republican issue as the employees of the agencies and those agency leaders simply are to lazy and incompetent to do their jobs. It is their laziness and their incompetence that appears to be the single most important qualification to work on the issue of wage theft. This way politicians are insulated from having to confront criminal employers. To be clear, the Federal Government’s Department of Labor has refused to prosecute a single criminal employers who has engage in wage theft on a Federal project under the Copeland Act that makes such activity a felony. We have seen the governmental agencies settle with employers for a percentage of what was owed, loose complete claim files, refuse to issue funds to employees after settlement, etc. The DoL has told us they do not care about the workers but view wage theft as a contract issue between the employer and the Government and they can settle as they see fit with no regard to how it effects employees and honest employers who compete on public construction projects. Two years ago Clark Construction, a large anti-union contractor who performs millions of dollars of Federal construction projects, was found to have stolen over a million dollars in wages on a single project in Nevada. The US DoL settled for a small percentage of wages owed, asked the employer to post a advertisement in an obscure trade magazine speaking to wage theft, and for doing so no criminal charges were brought forward, the contractor was allowed to continue to awarded Federal contracts, and a determination was made that the US DoL would absolve the employer of all wrong doing. Labor organizations and workers would find it more beneficial to redirect monies and efforts that now go to get politicians elected and to use those resources to establish teams of private legal professionals to privately litigate these issues. Governmental agencies simply refuse to advocate on behalf of workers. I think you could extend your argument to most employees working for the state. We should lay them all off and make them interview for their positions again, or simply contract the work out. Illinois payroll is far too high compared to other states, and we get worse services. I stung with a unpaid final wage. Our only satisfaction was beating the guy senseless (he stuck the entire staff). I did not bother with the state of Illinois. Our taxes are far too high for what little the state does. We need to have mass layoffs. It would certainly help with the pension crisis. I believe we start buy firing the bosses, the Department heads, the supervisors, and group leaders. The fact that the bureaucracy is blown out is due to the worst group of do nothing managers that have existed in the history of man. They way to become a public sector manager is to be the least ambitious, the least competent, the least motivated employee in the unit. This is done by higher level managers who want to avoid accountability at all cost. It is not caused by the public sector worker who can be fired at any time even if they do belong to a union if management simply did their job. I’m not a big fan of public employees but I do realize who the real do nothing people are, public sector managers.